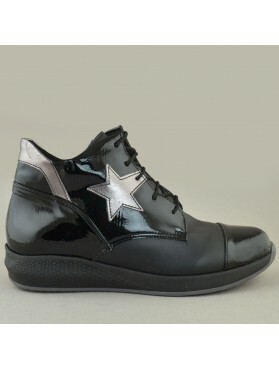 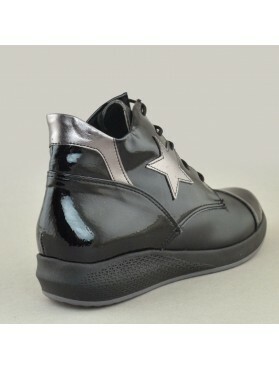 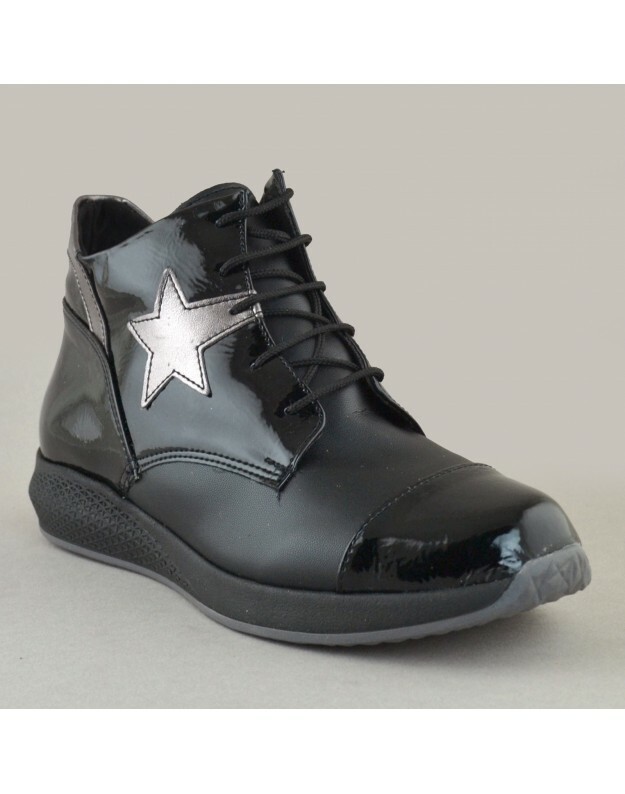 Patent sneakers, made in Greece. 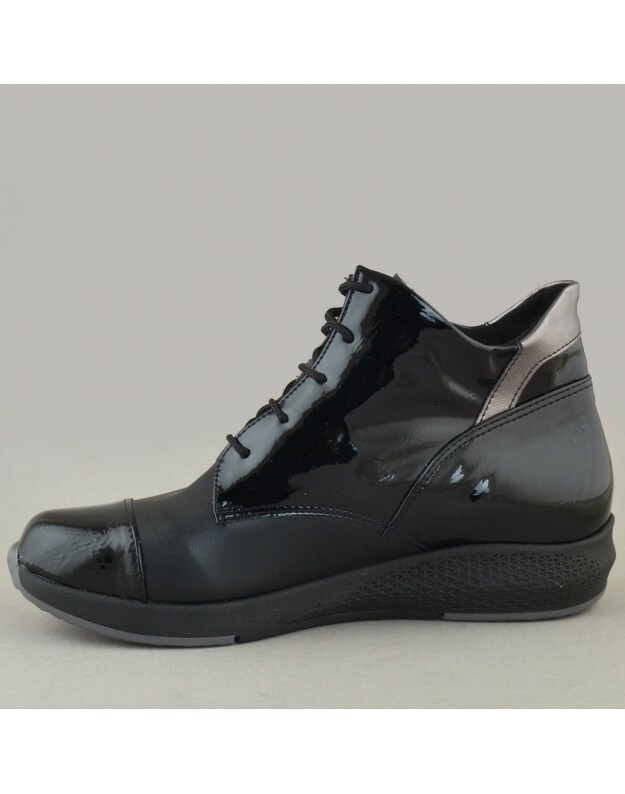 The heel is rubber 3.5 cm. The insole is leather.